Zanzibar is part of an archipelago consisting of two main Islands: Zanzibar (also referred to as Unguja) and Pemba, and about 51 other surrounding small islets. 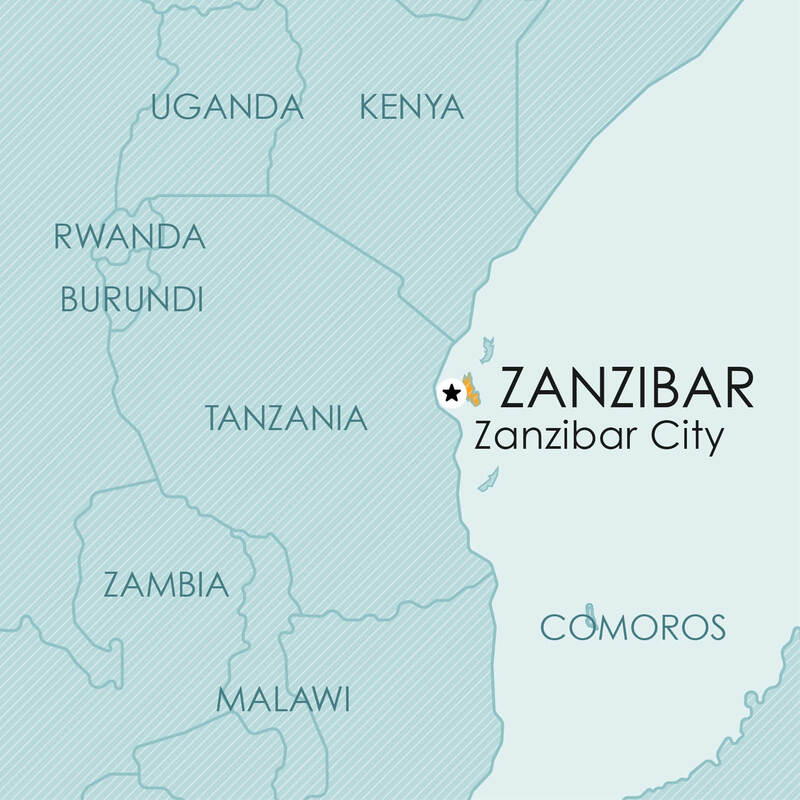 Zanzibar is a partner state, with Tanganyika, in the United Republic of Tanzania. The name Zanzibar is derived from the name Zenj Bar (Black Land) given to the island by Arab mariners; Zanzibar attracted people from as far as the Orient and Iberia, Assyria and India. Pemba is the second largest island of the archipelago, initially named Al-khudra (Green Island) by the Arab mariners. As part of the United Republic of Tanzania, Zanzibar is a member of the Paris Convention, ARIPO (Banjul Protocol), the Nice Agreement and the WTO/TRIPS. Provision is made for the registration of trade marks for goods and services, for collective marks and for certification marks. As part of the United Republic of Tanzania, Zanzibar is a member of the Paris Convention, ARIPO (Harare Protocol), the PCT, and the WTO/TRIPS. Tanzania comprises two countries, ie Tanganyika and Zanzibar. Patent protection must separately be obtained in each territory. In what follows, the securing of patent protection in Zanzibar is dealt with. Patent protection is obtainable in Zanzibar via a national filing or via an ARIPO application designating Tanzania. Unlike Tanganyika, Zanzibar has not yet recognised the Harare Protocol (which regulates patent and design filings in ARIPO) in its national laws. Accordingly, it seems uncertain that enforceable rights will be obtained in Zanzibar via an ARIPO application designating Tanzania. Unlike Tanganyika, Zanzibar has also not introduced provisions in its law to recognise and provide for PCT applications. Although Zanzibar is a member of PCT, it is not clear whether valid patent protection could be obtained via a PCT application. As part of the United Republic of Tanzania, Zanzibar is a member of the Paris Convention, ARIPO (Harare Protocol), and the WTO/TRIPS. Although Zanzibar has enacted legislation (as part of its Industrial Property Act of 2008) to provide for the registration and protection of industrial designs, it appears that regulations to implement this legislation have not yet been promulgated. According, it is currently not possible to obtain design protection by way of a national filing. Since Zanzibar is a member of ARIPO, the registration of a design may be effected via an ARIPO application designating Tanzania. However, in the absence of a duly implemented national system, it is not clear whether enforceable rights will be obtained. The general legislative provisions relating to industrial designs, as contained in the Industrial Property Act of 2008, are set out below. As indicated above, it does not seem that a national design filing is possible at the time of writing. An ARIPO application designating Tanzania may be a way of obtaining protection, although this is not clear. As part of the United Republic of Tanzania, Zanzibar is a member of the Berne Convention and the WTO/TRIPS. collections of works, compilations of data (databases), collections of expression of folklore. official texts of a legislative, administrative or legal nature. As far as could be determined, no separate legislation on plant breeders’ rights or other sui generis protection for plants is available in Zanzibar. Inasmuch as Zanzibar is part of the United Republic of Tanzania, it is expected that the protection under the New Plant Varieties (Plant Breeders’ Rights) Act no 22 of 2002 would also apply in Zanzibar.